← Para onde vai a pacificação? Para onde vão as drogas e as armas? An enormous amount of activity and debate is occurring– more than even a single mainstream news vehicle is able to cover. So, in the absence of a full blog staff, here’s an illustrated one-woman roundup of just some of what’s happening nowadays in this ever more vibrant, hectic city. 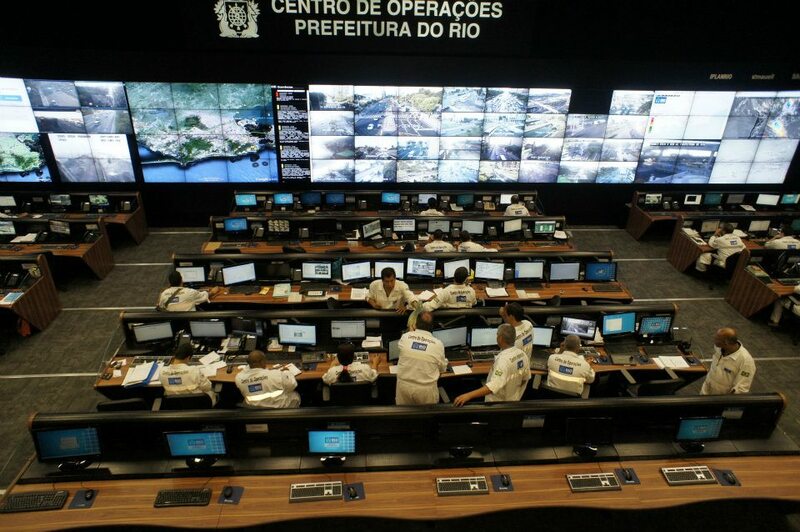 A late March visit to the new Operations Center in Cidade Nova turned up the news that the Rio police are building their own security operations center a kilometer away, set to open in June. And the reason why we haven’t heard much about exploding manhole covers lately? For the last six months, the city has been enforcing the requirement that utility concessions have municipal authorization to dig. City hall now has just about every water, electricity, cable tv, gas and telephone excavation mapped and under surveillance. 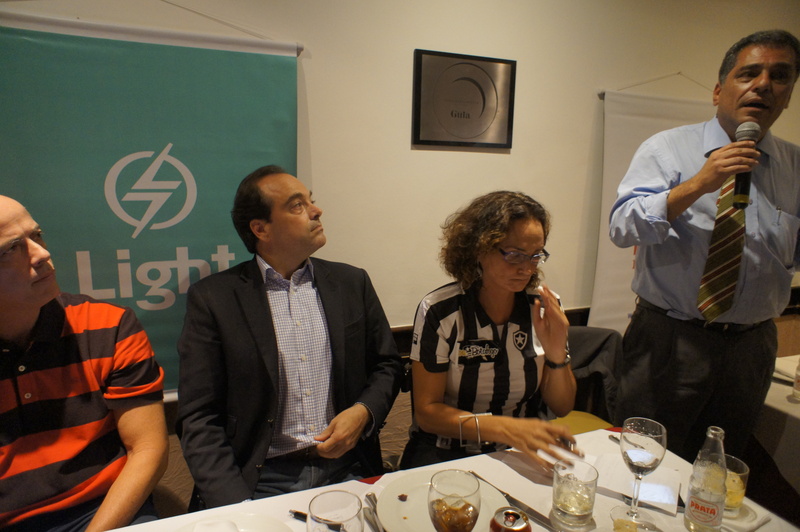 Carioca soccer aficionados discussed the state of affairs of four local teams, at an OsteRio debate. Conclusion: modern management is sorely needed, and there’s huge business potential. Young people armed with cameras, under the guidance of Morro da Providência photographer Maurício Hora, have been tromping around construction sites in the port area and came up with marvelous documentation of a moment that will soon be lost to history. 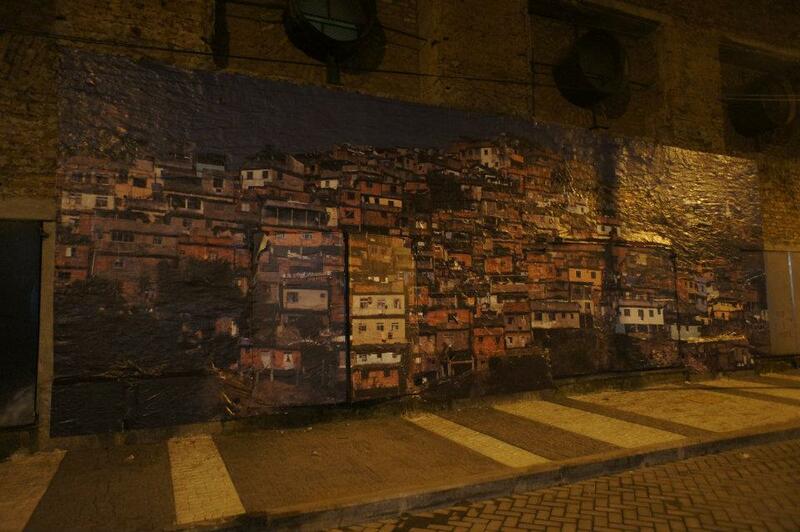 Their work, pasted up billboard-style inside and outside an old port warehouse building, can be seen until April 30. 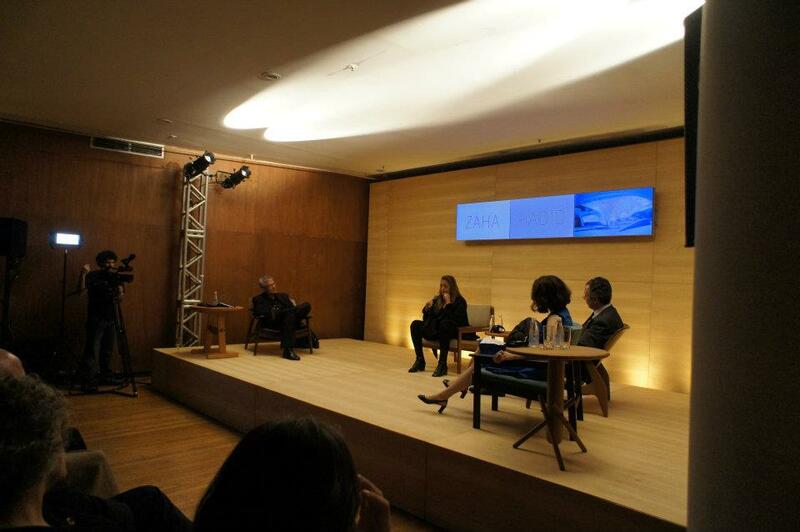 In early April, prize-winning Zaha Hadid and other visiting architects called on Rio to produce an Olympic legacy. Mayor Eduardo Paes later told RioRealblog he and Hadid discussed something he calls “working architecture”, whereby, for example, a swimming facility won’t become a white elephant. Instead, it will turn into a library for a nearby favela. Meanwhile, the Comitê Popular Copa e Olimpíadas Rio held a long meeting in an abandoned government building taken over by squatters right behind the city council building, to plan activities protesting various aspects of megaevent preparations. Mostly university students, they’ll organize a debate this coming week on human rights violations. They also discussed the future of the Maracanã Stadium, now being rebuilt by the state government. The bidding process for the stadium concession has begun, and so far only one company, owned by Rio energy/mining magnate and philanthropist Eike Batista, has shown serious interest. Small world. 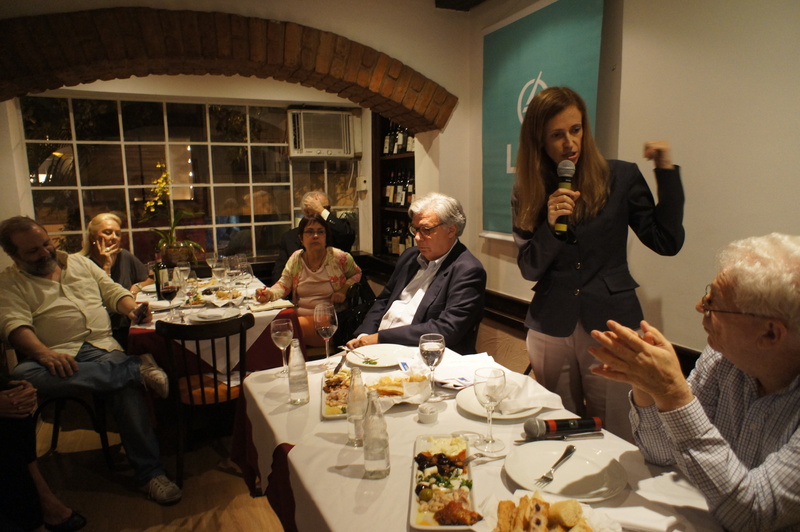 Municipal Education Secretary Claudia Costin and education specialist Simon Schwartzman discussed classroom gains and challenges at another OsteRio debate. The focus is on Portuguese and math. It’s not for nothing that earlier debates, on the city’s investment promotion agency’s RioNegócios work; and on the development of the state’s offshore oil and gas potential, ended up lamenting manpower shortages due to education shortfalls. 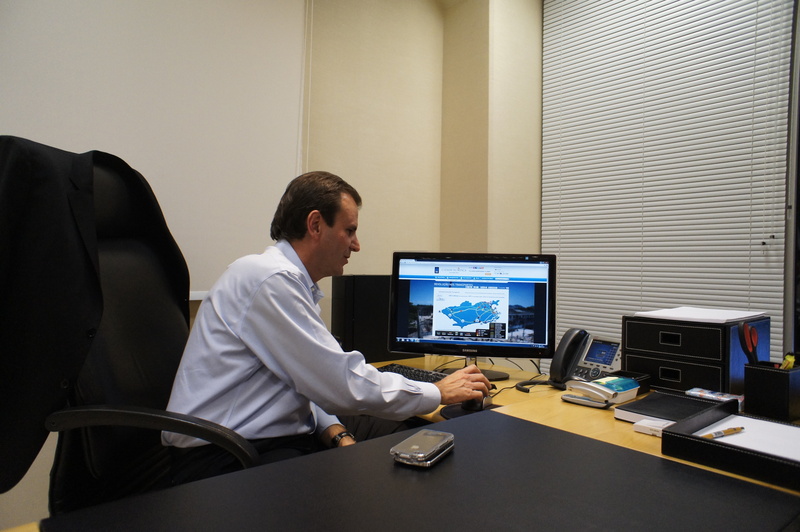 Rio’s city services are dangerously overextended and investment is too concentrated in the West Zone, architect Sérgio Magalhães told RioRealblog in an interview. The North Zone and downtown should get more attention. 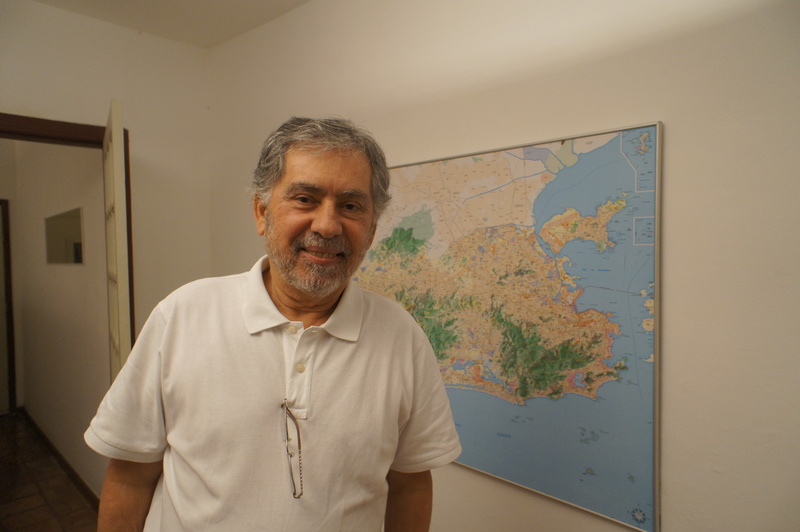 Magalhães conceived and implemented the Favela-Bairro precursor to the current Morar Carioca favela upgrade program, as municipal housing secretary in the 1990s. He also ran the 2010 Morar Carioca architectural contest, which chose forty winning projects. These have been on hold for more than a year, but Magalhães says the delay is due to administrative overload and that city housing secretary Jorge Bittar told him two weeks ago that they’ll soon get the green light. He also posited that the rough treatment that favela residents receive during the relocation process is a reflection of a negative middle-class attitude towards favelas with roots in the 1980s, when the informal city came to represent violence and crime. Government housing alternatives give short shrift to a strong culture of community. Favelas represent six percent of the territory of the city of Rio de Janeiro proper, housing twenty percent of the population. For the first time ever, cariocas everywhere point out, the city is facing deadlines. 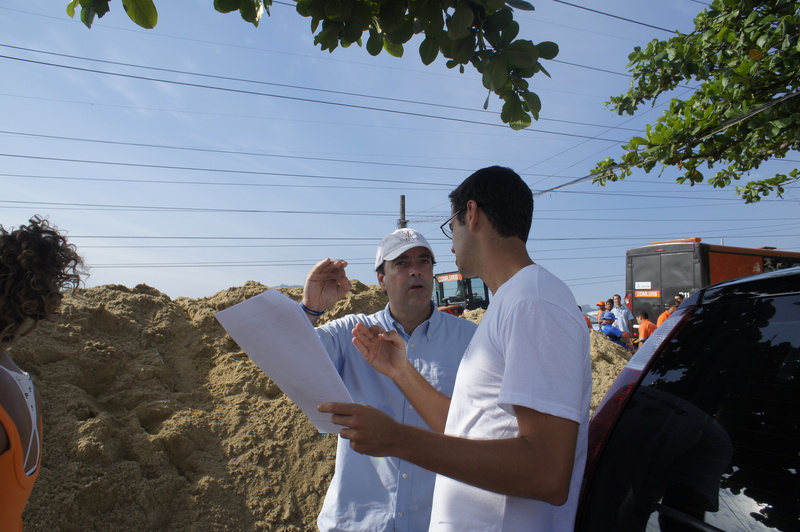 City Conservation Secretary Carlos Roberto Osório is only one administrator who feels the crunch. 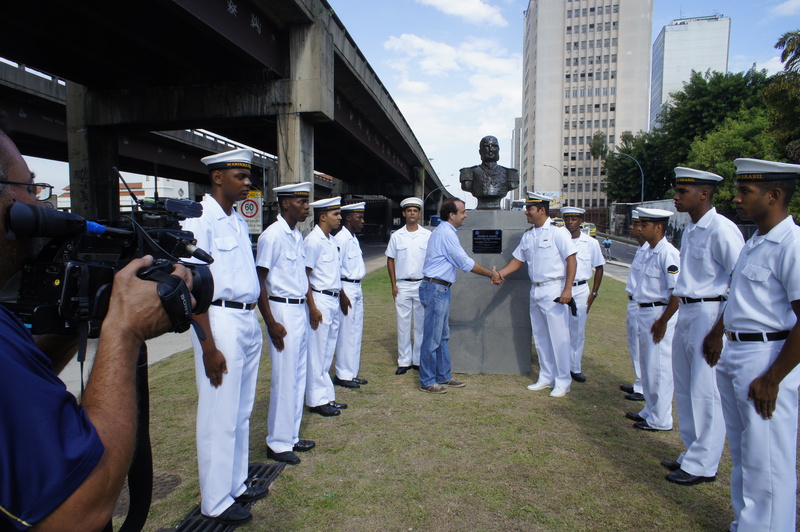 “He doesn’t sleep,” his undersecretary Joaquim Monteiro said at a monument unveiling Friday afternoon, that followed on the heels of a meeting with trashpickers at the soon-to-be closed Gramacho dump and the inauguration of a beach volleyball court in Batan, a pacified West Zone favela. “I haven’t had lunch,” grumbled an assistant. How much can a city change? So many people are losing sleep to change it. Yet participation is limited, as this week’s Veja Rio magazine makes evident in a report on a new municipal goals plan partly drafted by 150 notables. None of them are favela residents. 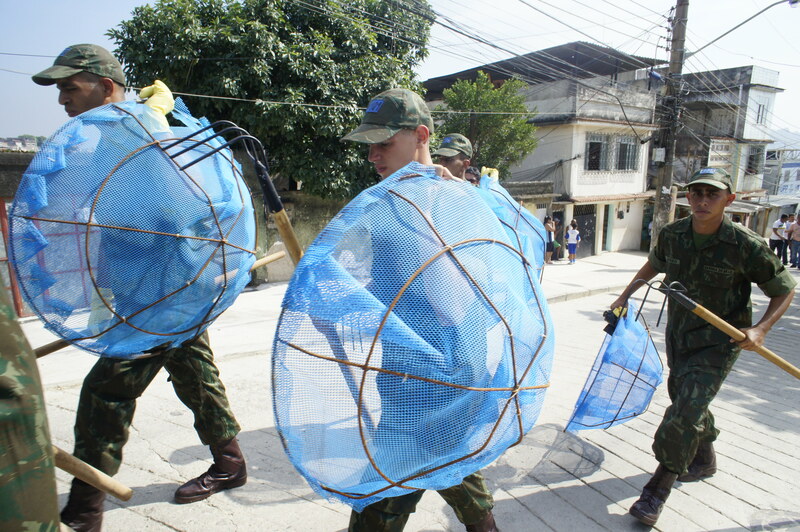 This entry was posted in Brazil, Transformation of Rio de Janeiro / Transformação do Rio de Janeiro and tagged Carlos Roberto Osório, Claudia Costin, Comitê Popular Copa e Olimpíadas Rio, Eduardo Paes, Eike Batista, exploding manhole covers Rio de Janeiro, favelas Rio de Janeiro, Gramacho, IAB-RJ, Joaquim Monteiro, Jorge Bittar, Maurício Hora, Morar Carioca, Olympic legacy Rio de Janeiro, port revitalization, Rio de Janeiro sanitation, Rio Operations Center, Sérgio Magalhães, Simon Schwartzman, Zaha Hadid. Bookmark the permalink. really enjoyed this one Julia! First time i am visiting this blog and… wow ! it’s awesome ! thanks for sharing this useful service for people who want to know more about the Rio. Great work.